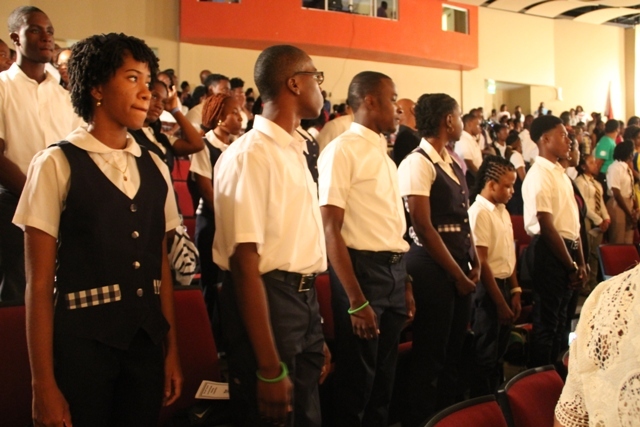 NIA CHARLESTOWN NEVIS (February 24, 2017) — The 45th annual Leeward Islands Debating Competition (LIDC) hosted by the Literary and Debating Society of the Nevis Sixth Form College commenced on February 24, 2017, at the Nevis Performing Arts Centre (NPAC). The contest which is being hosted in Nevis for the seventh time, will conclude on February 26th. 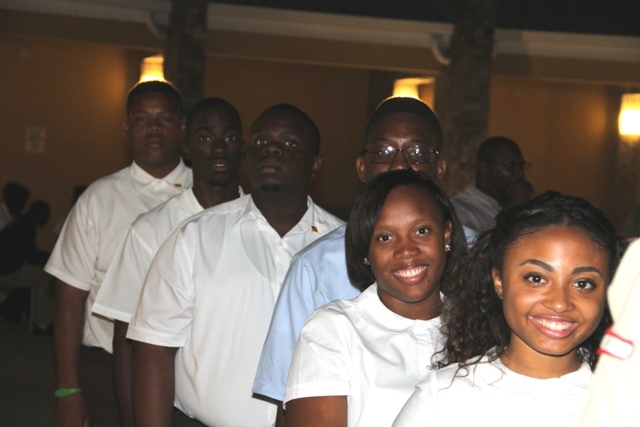 During the opening ceremony, Acting Premier of Nevis Hon. Mark Brantley stated that the relevance of debating and the contest cannot be overstated. “It involves mastering skills of great intrinsic value, confidence to speak in public, sharpening one’s ability to think critically and analytically, constructing logical arguments, the ability to read audience reaction and perhaps most importantly, the willingness to hear the arguments of others and respond to them in a respectful manner,” he said. Mr. Brantley noted, that as a lawyer turned politician and a former participant in the competition, he was cognisant of how time consuming it is to construct arguments for and against any matter, the extent of research involved and the long hours of preparatory work and commended the participants for taking part in the event. The Acting Premier, expressed the view that the topics selected for this year’s competition, ranging from unemployment relief programmes to education and from anti-immigration to cyber-crime would without a doubt, engender free and lively exchange of ideas; challenge the intellect and demonstrate that opposing views can be explored in a way that connects rather than divides. He said it would be done in a climate of goodwill and friendly rivalry that will encourage peaceful discussion rather than aggressive confrontation. Meantime, Mr. Brantley gave special commendation to the members of the Nevis Sixth Form, College Literary and Debating Society for using their initiative and creativity to raise the necessary funds to host the contest. “I am encouraged and inspired that we have a group of ambitious young individuals who are not afraid to undertake a challenge of this magnitude. 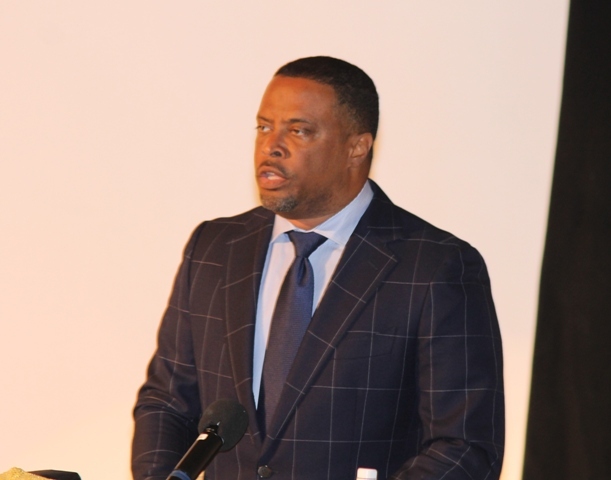 “In recognition of their effort, I must add that the Nevis Island Administration (NIA) continues to encourage our youth, to seize opportunities such as these to develop their confidence, management and organisational skills,” he said. Mr. Brantley added, that the NIA continues to partner with countries, colleges and universities such as Cubs, Taiwan, Turkey, the United States of America, Mexico, Switzerland, Morocco, Israel, the United States Virgin Islands and the University of the West Indies, in providing scholarships for young people to improve themselves. He also thanked the sponsors for their contributions and wished all the debaters well. The Acting Premier expressed hope for a keenly contested, thought provoking and friendly 45th LIDC.